Firstly a big thanks to the above on-the-day event crew for sparing the time to run the TT and let us all do what we love. And to Nigel Wilson, Nick Hickman and Paul Wright for getting things set ahead of time. Some say “Testers” are a strange breed. If that is true then Medium Gear Testers are way off of the strangeness scale! Eight of them blew away any Brexit blues by spending the morning attempting to impersonate mobile food blenders whisking eggs. The weather was unseasonal for March with riders split on each side of the fence going for full summer or winter gear. However, all agreed that the breeze from the North was more than “light” as had been forecast and made the Growers segment a bit of a grind. The field was made up of four fixed gear bicycles, two singlespeeds and two with a limited highest gear – proving that by cunning use of limit screws or unplugging of Di2 battery any bike can be modified to ride this event. 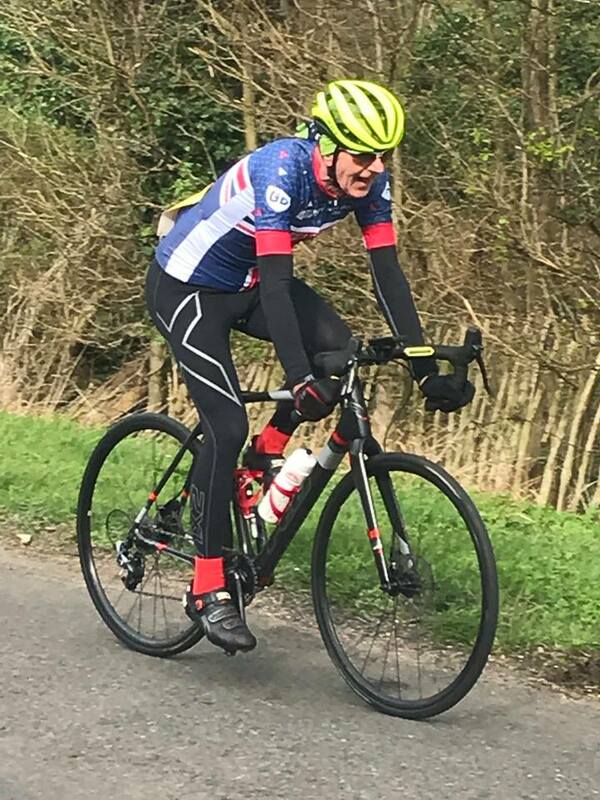 On the ski-slope first hill down to Shefford three riders recorded their legs whisking at just over two and a half times a second but it was Nick Hickman that pressed on into the meringue zone with a mind-bending max cadence of 168 rpm – matched by a similar heart rate! 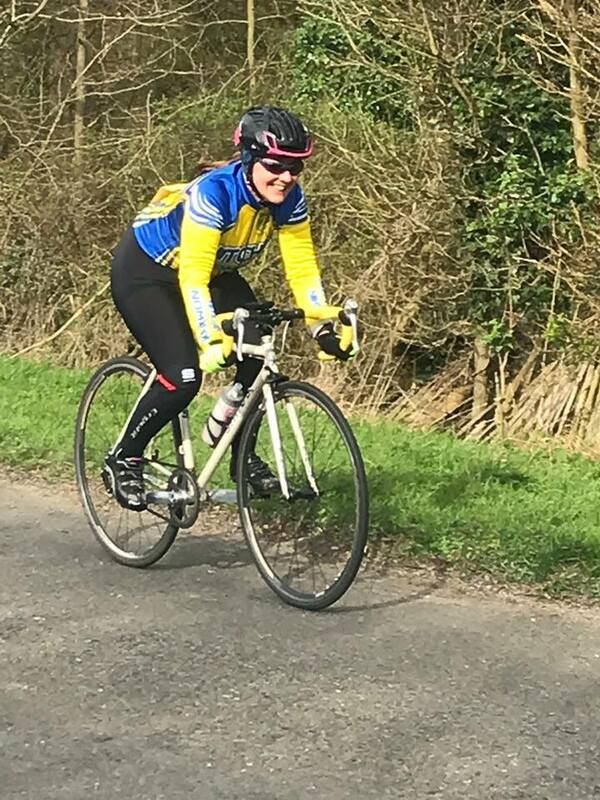 In the ladies competition Madame Chair Meli Fletcher was pleased to improve by a minute on her 2018 result. 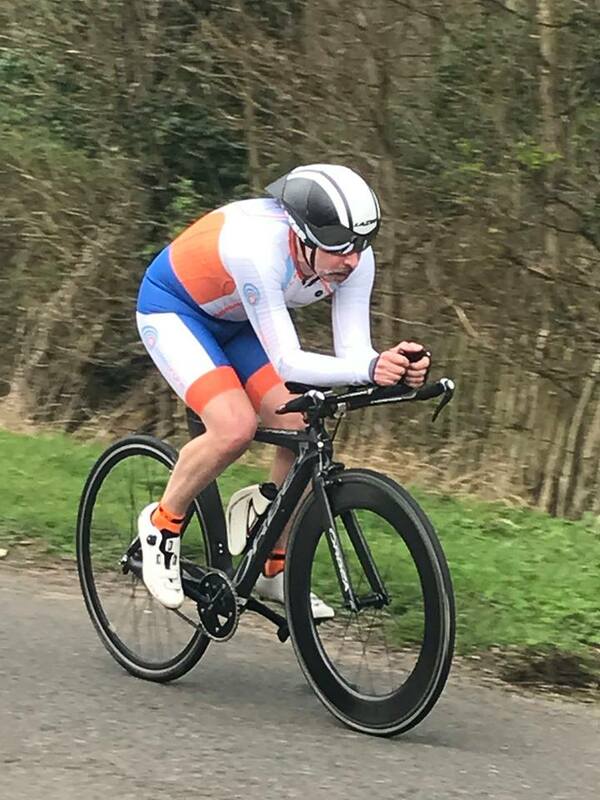 John Curtin made a fine solo TT debut to finish 3rd. Your reporter was mightily impressed at Curtin riding away from him sitting up on his road bike. A temporary re-pass was possible at gravelly corner while John looked for gravel that wasn’t actually there. Hickman, riding Fixed Gear, PB’d by just short of two minutes to finish second once again. Congratulations on the event win goes to Steve Robinson who pipped Hickman by a minute and a second. Robinson has lots of experience riding Fixed Gear but this was his debut in competition. He managed an average cadence of 99 rpm, a speed just shy of 21mph. A three line whip was held at the Southill Tea Rooms for much needed refreshment where many riders were seen to have legs still spinning under the tables. 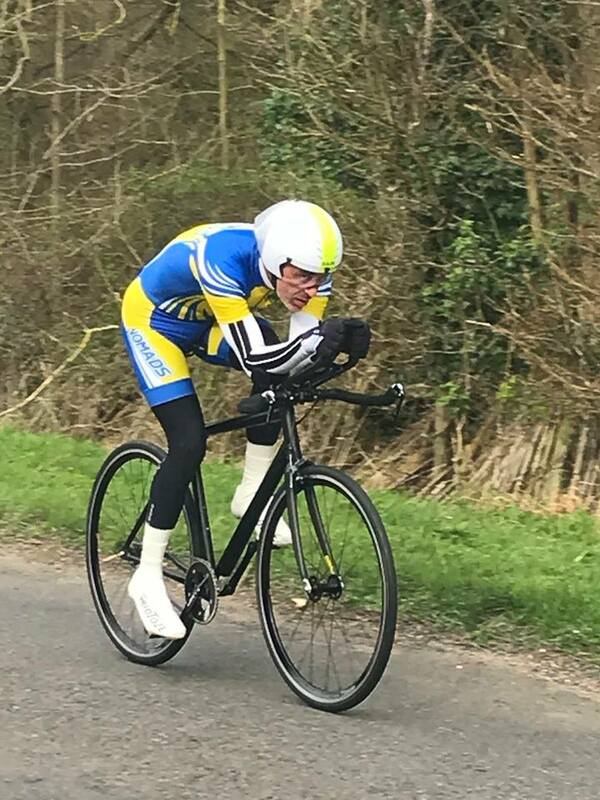 In other news, in Private Time Trials not part of the main event, Andrew Hardy achieved a 90 seconds PB and James Cornell’s TT socks left the party to become an independent member leaving behind an inferior backstop. Briercliffe 10 on the “Roadworks 10” course, Tuesday 2nd April 18:30.